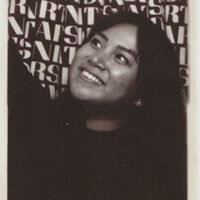 Marielle Jade Te is the Creative and Licensing Director at Hit the Ground Running, Inc. (HTGR), an LA-based, full-service, independent music supervision company. Through its team of music supervisors and their broad knowledge of music, the company handles music for the likes of Pennyworth, Cloak & Dagger, Silicon Valley and Gotham. Marielle also serves as the Business Affairs and Creative Sr. Manager at HTGR's sister company, PUSHER, a firm that specializes in synch licensing, bespoke composition, and label/publishing services. PUSHER was established to foster creativity for the firm's artists, our clients, and ourselves, and focuses on creative advertising for the motion picture industry.